Pensa Systems, an Austin, Texas-based autonomous perception systems company, has raised $5 million in additional funding. This brings Pensa’s total funding raised to $7.2 million. With this round of funding, Pensa Systems is going to accelerate deployment of its system for retail inventory visibility. And the funding will be used for fueling the adoption of Pensa’s retail inventory visibility system and accelerate store trials with large retailers and CPG brands across North America and beyond. Signia Venture Partners led this round of funding. New investor Commerce Ventures participated in this round along with existing investors ZX Ventures, ATX Seed Ventures, Capital Factory, Revtech Ventures, and others. Pensa is considered the first company to deliver a broadly scalable system that can automatically and systematically track in-store inventory using advanced computer vision, artificial intelligence, and autonomous drones to see what is on store shelves. This funding announcement comes on the heels of Pensa’s successful live trials with several consumer brands and retailers. For example, a trial worked out with beverage leader Anheuser-Busch InBev (AB InBev). And so the beverage company became a strategic investor through the ZX Ventures growth unit. 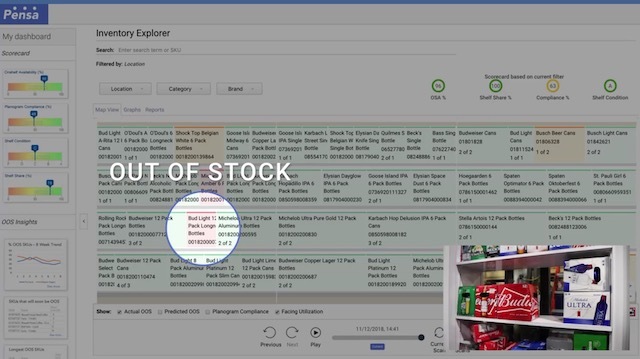 ZX Ventures VP of Explore Patrick O’Riordan said that out-of-stock products are a significant challenge for CPG companies and retail partners, which can have hundreds of millions of dollars in potential sales impact. Pensa also has a strong advisory board team including Tom Gruen (category management analytics pioneer and professor of marketing) and Mick Mountz (Kiva Systems founder and CEO).